​Sujalam-Suphalam awareness event by Eendau-ETv in collaboration with district administration in Yadigiri-Bhongir district, Telangana on 28th April, 2017. Mr. Rammohan was part of training programme at Siddipet orgniased by National Bank for Agriculture and Rural Development (NABARD) on 9th May, 2017. It focusses on training ‘Jal Doot’ volunteers under ‘Water is life (Jal Jeevan Hai)’ training programme who in turn would train villagers on the concepts of water management under Four Water methods. 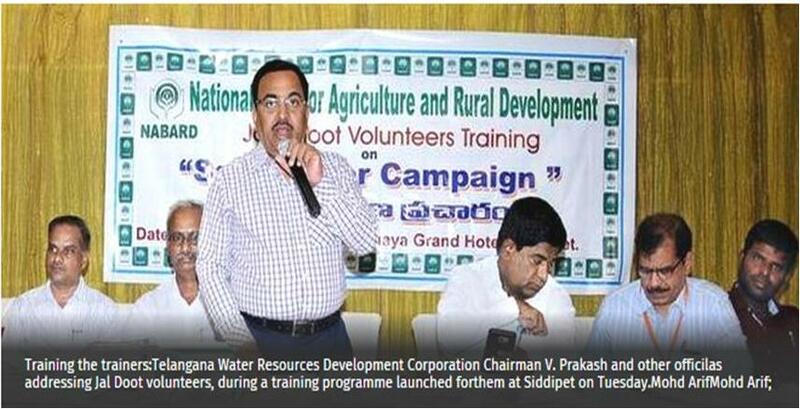 The training was formally launched by Telangana Water Resources Development Corporation (TWRDC) Chairman V. Prakash Rao.